The Revolutionary Zebco BiteAlert™ 33 technology is the fisherman's best friend. It allows the fisherman to hear and see a bite, even on the darkest of nights. 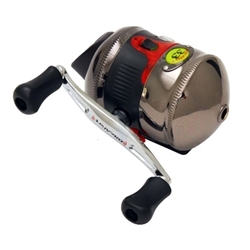 This unique technoloogy gives you that extra advantage on the water and the fish. This spincast comes pre-spooled with 10lb Cajun red line and includes a CR2032 lithium battery.